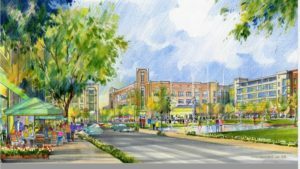 City officials say a new development planned for Leander will be a game-changer by finally giving the suburb northwest of Austin a downtown area. 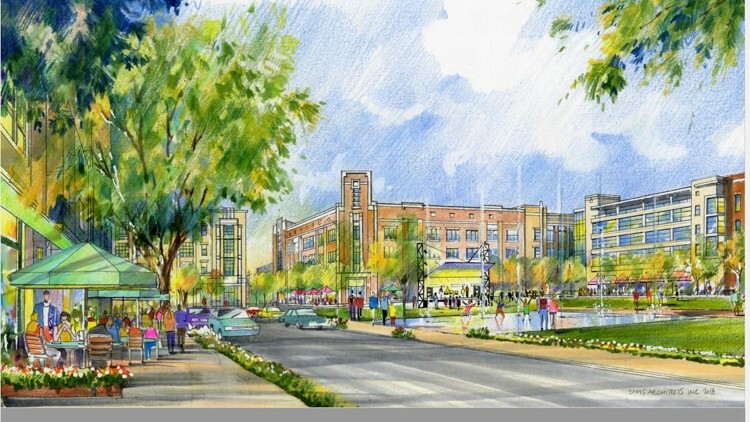 The 115-acre mixed-use project, called Northline, will provide shopping, dining, offices and housing in a walkable area in the north central part of Leander near Austin Community College’s San Gabriel campus and St. David’s Emergency Center. Austin developer Alex Tynberg said it will be worth $700 million to $800 million when finished. Groundbreaking is expected by the end of the year. Cagle said the city, with a population of more than 60,000, has very little restaurant or retail development and that most people go to the Cedar Park to shop. The new project, more urban than suburban with smaller blocks and multistoried mixed-use buildings, will bring more tax revenue to the city than a strip retail center with apartments built behind it, he said. Cagle estimated the annual property tax to be $4.4 million when the project is completed. “We’ve been waiting for this for 10 years,” she said. As part of the development deal, the city has agreed to pay $15 million for infrastructure, including streets and parks. Tynberg said he is also investing $12.5 million in infrastructure. Because the project is in a tax increment reinvestment zone, the city and Tynberg will be reimbursed for the infrastructure costs with property tax revenue over the 13 years the zone is in effect. The first phase of the development, which will take a year or two to build, will include the park, about 50 townhomes, 550 to 600 apartments and a hotel. The entire project will be built in about 12 to 15 years, Tynberg said. When complete, Northline will have about 300,000 square feet of retail space, 300 townhomes, 2,000 apartments, 150,000 square feet of hotel space and 700,000 to 800,000 square feet of office space. “We are really looking at walking a nice balance between a rural Texas Hill Country feel with a contemporary design,” he said. David M. Schwarz Architects Inc., a Washington, D.C.-based firm that has designed projects all over the country, including the Sundance Square Plaza in Fort Worth and the Town Square in Southlake, will be the designer and land planner for Northline. The project’s name plays off the fact that Leander is at the northern end of the MetroRail line, Tynberg said. Click here for news source.